We all know that the Indian team won the match by six wickets. What an exciting match it was! Not only the finals, the whole of ICC match series was superb. Well, I need not mention that fulfilling the dreams of all; the Indian Cricket team brought home the World Cup. It was the second World Cup victory, having previously won in 1983. Not only in Mumbai, people went crazy in almost all parts of the world. They were out of their homes to fire crackers and share the happy feeling. The fireworks in the sky looked fantastic. Indian cricket team gave everyone really a big reason to celebrate. Hats off to the Indian Cricket Team! Am I talking in length about the ICC World Cup? Coming to the point, the cricket fervor is yet not over. 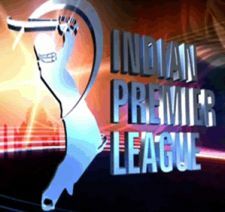 You all undeniably know that DLF IPL 4 2011 is all set to begin. The scheduled date of the beginning of this one and a half month cricket tournament is 8th of April 2011. Have you chosen your favorite team? We don’t need to wait for long as the countdown has already begun. I’m so sure that all you cricket maniacs have already decided as to what excuse you would make to your boss on the particular days when your favorite team would be playing. Isn’t it? If you’re the one who stops at almost any place to know the score just for the fact that you can’t sit in front of television for long hours, here’s a deal. How about watching your favorite team play right on your laptop/pc in the office? Before the beginning of ICC world cup we came up with the 10 Ideal Sites To Watch ICC Cricket World Cup 2011 Online For Free. Showcased below are the 10 Best Sites To Watch DLF IPL 4 2011 Online For Free without the need of bunking the office and sitting for long hours in front of the television sets. I’m pretty eager to know which is your favorite team. Leave the comment below.